The Crusader Knight Shield of Ibelin is inspired by the shields carried by the Knights of Ibelin in the film Kingdom of Heaven. 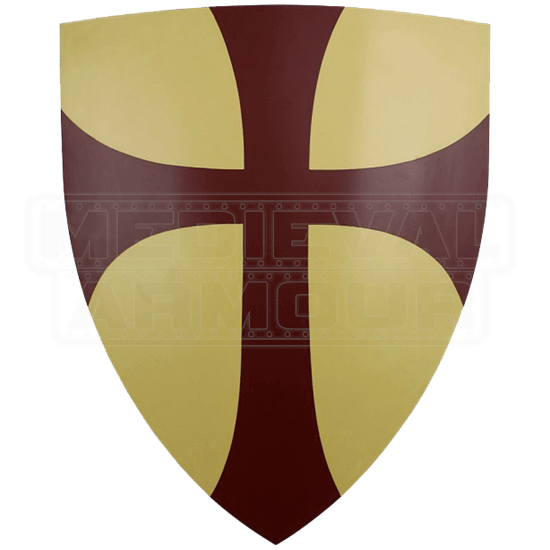 This stainless-steel shield features a dark crimson Jerusalem Cross against a field of off yellow. It is a full-sized shield with a classic triangular shape. For easy display, there is a steel chain for wall hanging. This shield makes an excellent gift for fans of the movie or medieval history. Get into character at your next medieval event by carrying this shield at your side!